Clean and wash chicken then pat dry. Next, cut each chicken thigh into two pieces each. In a separate bowl mix all ingredients together. Melt butter in microwave, add honey, mustard, curry powder, soy sauce, garlic clove, onion powder and black pepper. 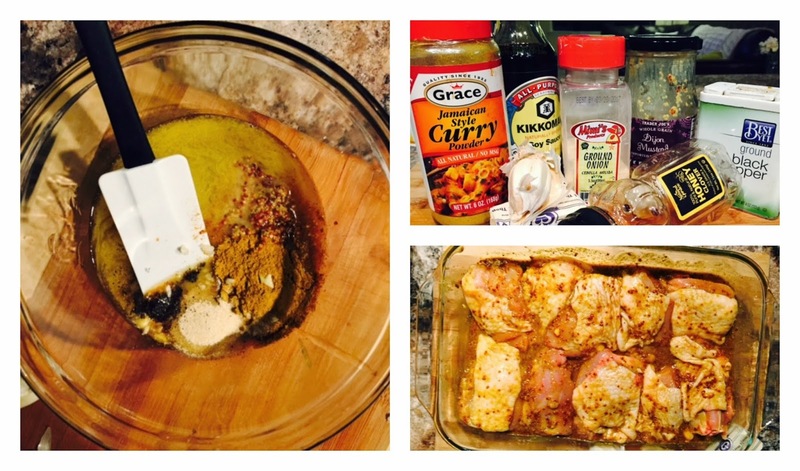 Mix ingredients thoroughly with whisk and pour over chicken. 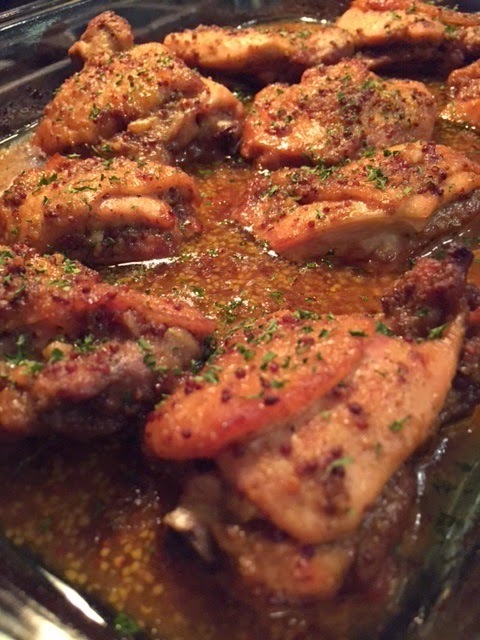 Cover to marinate (optional) or place chicken thighs into glass baking dish, cover with foil and bake on 375 degree’s for 50 minutes. Remove foil and bake for additional 10 minutes to crisp the skin of the chicken. Once chicken is out of the oven add parsley to garnish. 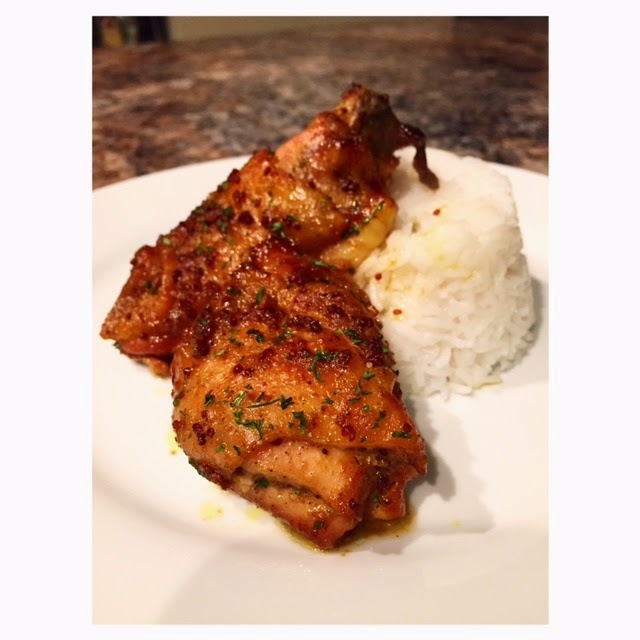 Would you try Honey Curry Chicken? This looks delicious! I will be trying this recipe! Thanks! Thank you so much, Andrea! Please let me know how it turns out! So lucky to actually try your chicken, it was amazing!